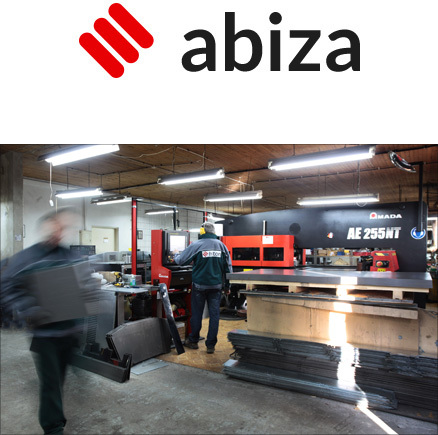 ABIZA is a typical family business. The company was established in 1982. We specialise in manufacture of a wide variety of products of sheet metal. Our main products include oil heaters marketed under „HITON” brand www.hiton.pl and flues systems made of stainless and heat-resistant steel for construction industry. Our products are entirely made in your facility based on technical documentation prepared by our in-house research and development team. All products have CE marking confirmed with TÜV certification. Main customers include distribution companies and heating unit fitters. W provide technical support on installation and operation of our products via training. Our products can be bought nearly in every country in Europe. Main customers are located in: United Kingdom, Germany, Russia, Czech Republic, Slovakia, Romania, Moldova, Scandinavian countries, Norway, Baltic states. In 2011 we also expanded our sales to Australia. In addition to the above industry segment we also employ the creativity of our young team and technological capacity of our plant in cooperation with partners operating in automotive, power, electronics, construction and transport industries. We offer services for every stage of your project from design through prototyping to series or individual production. We manufacture our products of materials bought at best European foundries, which have proven their quality over the years of use. Our customers enjoy our expertise, professionalism and reliability on a daily basis.